Three Area Soldiers. One Epidemic. Three Graves. We can envision the excitement all three felt; the pride of their fathers; the worry of their mothers; and the envy of their friends who watched them leave on what was probably a grand adventure and ticket out of a quiet (and probably boring) rural environment. And we can imagine the sorrow felt in the community when news came back of their deaths while in training. 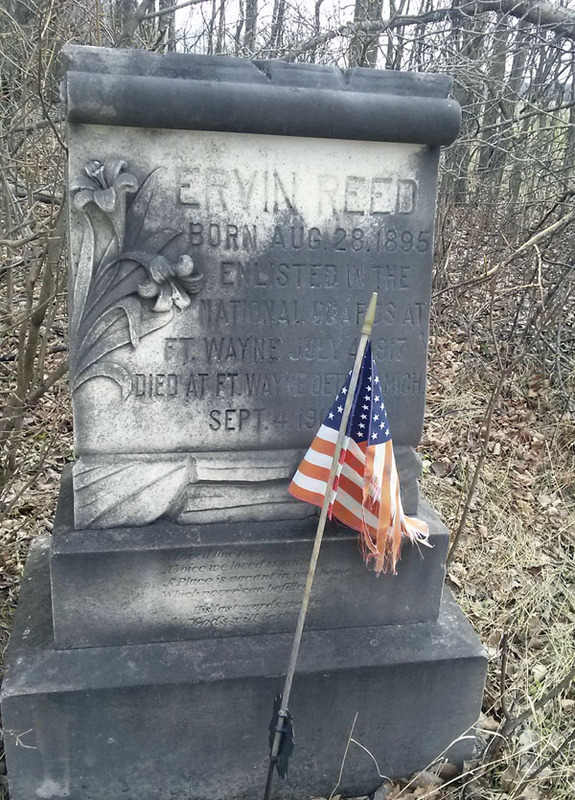 Ervin Reed died September 1917 at Fort Wayne in Detroit. He had enlisted in the National Guards just two months earlier, on July 4th. James Garrity and Arthur Looker —cousins—enlisted in the Navy on Dec. 6, 1917. They died within a day of each other in January 1918 at the Great Lakes Naval Training Station in Illinois. The official cause of death for all three was pneumonia. Their deaths were most likely due to the flu. The three had enlisted during a time a deadly flu virus was raging across the globe. This great flu pandemic, (a pandemic is one that affects a wide area of the world) sickened more than a half a billion people worldwide and killed anywhere between 21 million and 100 million. More than 675,000 Americans died and deaths were especially high in young men, a group included soldiers. For whatever reason, the flu triggered a very strong response from the immune system that sometimes overwhelmed the body. Those with the strongest immune systems were especially vulnerable, the opposite of what one would think. An estimated 43,000 servicemen died of the flu. Roughly 1 in 4 military personnel came down with the virus, and of those who did, 1 in 5 died. Death often came quickly, sometimes even within hours of the first symptoms. Congestion brought on by the flu built up quickly in lungs, resulting in pneumonia. “The morgues were packed almost to the ceiling with bodies stacked one on top of another. The morticians worked day and night. You could never turn around without seeing a big red truck loaded with caskets for the train station so bodies could be sent home. “We didn’t have the time to treat them. We didn’t take temperatures; we didn’t even have time to take blood pressure. The pandemic hit especially hard at military camps like Great Lakes where a large number of men were in close proximity to one another. Great Lakes was the largest Navy camp, with a population of 44,000. Although the worst of the pandemic had passed by the time Garrity and Looker came to Great Lakes, the presence of so many men packed close together and a continuing turnover of personnel meant the epidemic continued to take a toll. There is little information about Fort Wayne, with its smaller force. However, its proximity to Detroit and the men to each other meant illness was a constant at the fort. One would think Garrity and Looker knew of the deaths of Reed, but enlisted anyway, perhaps choosing a different branch and location as a precaution. Newspaper articles said that Garrity and Looker had caught the measles beforehand and Reed had come down with appendicitis. Perhaps, those health conditions were enough to make the three more susceptible to the flu. We will never know. 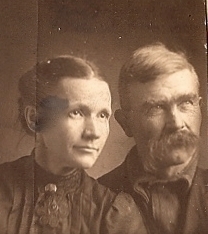 Garrity and Reed are buried in the Garrity Cemetery in Clare County. 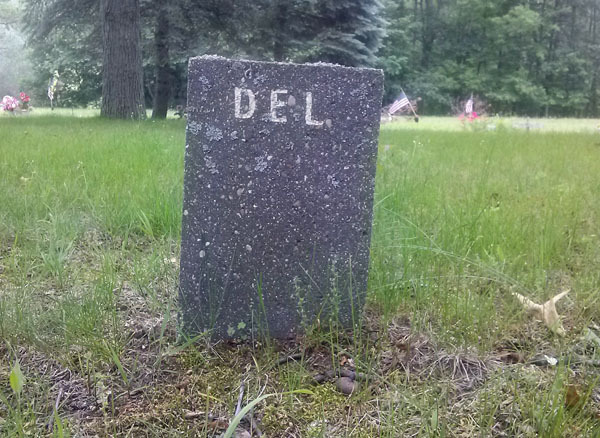 Looker is interred in McClure Cemetery in Gladwin County. Markers and flags mark their graves. This Memorial Day weekend (May 24, 2014), the Clare County Historical Society will conduct a clean up at the Garrity Cemetery and replace the flags. It’s the least we can do to honor these Clare County men. Gone need not be forgotten. I ran across this article in a copy of The Clare Sentinel that was written sometime around 1894. It’s one of those stories that I’d love to know what happened beforehand to spark the incident, and what happened afterward. However, it does show just how tough men were back then. Or maybe just plain lucky. Saturday evening about 8:30 o’ clock, Rosa Smith, an inmate of a dance house at Meredith, deliberately shot Benjamin Villeneuve while he was passing along Main street. She was at once arrested and committed to the county jail. The bullet struck Villeneuve in the mouth and knocked out three teeth but did no further damage otherwise than to scare him and the crowd, but it was probably a love affair. The following rules were found in the book “Clare Remembered 1879 – 1979,” published by the Clare Area Centennial Committee. 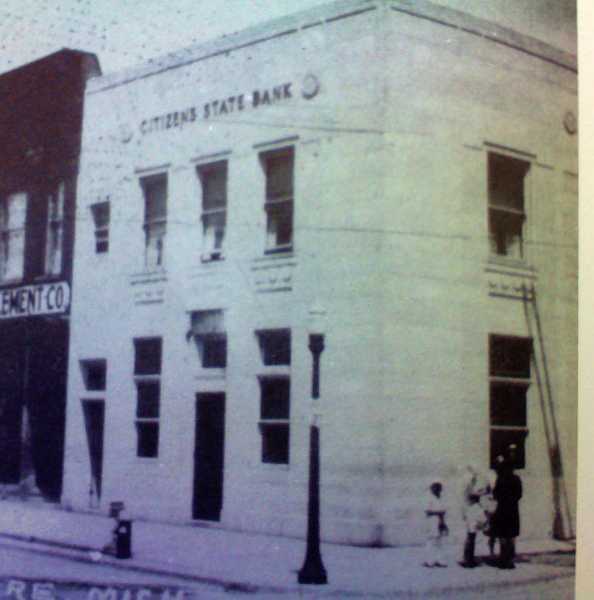 Citizens bank stood on the corner of Fourth and MeEwan and operated for 70 years ,beginning in 1908. Office employees will daily sweep the floors, dust the furniture, shelves and counters. Each day fill lamps, clean chimneys, and trim wicks. Wash the windows once a week. Each clerk will bring in a bucket of water and a scuttle of coal for the day’s business. Make your pens carefully; You may whittle nibs to suit your individual taste. The office is will open at 7 a.m. and close at 8 p.m. daily except on the Sabbath, on which day it will remain closed. Each employee is expected to spend the Sabbath by attending church. Men employees will be given an evening off each week for courting purposes, or two evening off a week of they go regularly to church. Every employee should lay aside for each pay a goodly sum of his earnings for his benefit during his declining years so that he will not become a burden upon the charity of his betters. Any employee who smokes Spanish cigars, uses liquor in any form, gets shaved at a barber shop, or frequents pool or public halls, will give us good reason to suspect his worth, intentions, integrity of honesty. The employee who has performed his labor faithfully, and without fault for a period of five years in our service, and who has been thrifty, and is looked upon by his fellow men as a law abiding citizen, will be given an increase of ten cents per day in his pay, provided a just return in profits from the business permits it. I month of so ago I completed a small group study sponsored by Brown Corner’s United Brethren Church north of Clare. It was called “One Month to Live,” based on a book of the same name by Kerry and Chris Shook. The premise behind the book was a simple one: If you suddenly knew you only had 30 days left on this earth, what would be your priorities during those final times? And shouldn’t we live life now based on those priorities whether we have 30 days or 30 years? I wrote about the study in a previous post. Anyway, each of the 30 chapters in the book began with two quotes from well-known or not well-known (at least to me) individuals and pertained to the subject matter of the chapter. I found myself savoring many of those quotes to the point that I typed up the ones I found most meaningful (about 25 of the 60 quotes) and have posted them by my front door. Those quotes appear below and they are in the order they appear in the book. Do I have favorites among them? A few, and I have highlighted those. Take a read through them and see if they speak to you as they did me. You might just want to post one or two by your front door or on your mirror to review on a daily basis. And have a good year. I am convinced that it is not the fear of death, of our lives ending, that haunts our sleep so much as the fear…that as far as the world is concerned, we might as well never have lived. I don’t want to get to the end of my life and find that I just lived the length of it. I want to have lived the width of it as well. He who is devoid of the power to forgive is devoid of the power to love. The opposite of love isn’t hate, it’s indifference. Remember that everyone you meet is afraid of something, loves something and has lost something. He became what we are that He might make us what He is. There lives in each of us a hero awaiting a call to action. All that I have seen teaches me to trust the Creator for all I have not seen. If you don’t like something, change it. If you can’t change it, change your attitude. Don’t complain. How does one become a butterfly?…You must want to fly so much that you are willing to give up being a caterpillar. Pain is inevitable, but misery is optional. We cannot avoid pain but we can avoid joy. God whispers to us in our pleasures, speaks to us in our conscience, but shouts to us in our pains; it is His megaphone to rouse a deaf world. Miracles are a retelling in small letters of the very same story which is written across the whole world in letters to large for some of us to see. If I discover within myself a desire which no experience in this world can satisfy, the most probable explanation is that I was made for another world. Though no one can go back and make a brand-new start, anyone can start now and make a brand new ending. I bought 13 diaries on eBay the other day for more money than I care to admit. 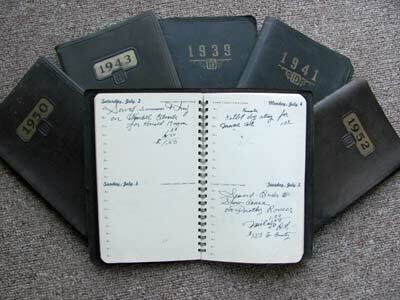 The diaries were from the years 1939 through 1952, although 1944 was missing. 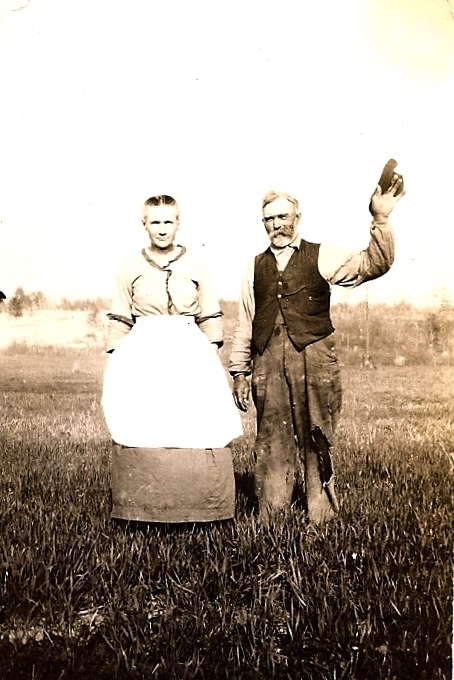 They had once belonged to a sheriff in Harrison, Michigan, or at least to someone in the Sheriff’s Department in that mid-Michigan town located in Clare County. 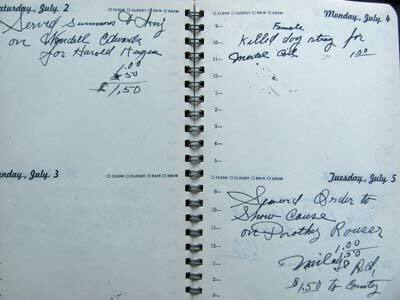 When I bought the diaries I was hoping it would provide a wealth of information, a window into the life of a rural sheriff, including how he spent his time, and would include names and events. anlogy…well I see through the glass there but darkly. Turns out the diaries–and diaries is not the right name although I am not sure what to call them–were really served as a place to list events and activities for which the sheriff either was paid (like issuing a summons) or needed to pay others (like hiring a deputy for the day if he was on the road). Still it was an interesting read and my biggest impression is that the sheriff spent a lot of time issuing summonses and shooting dogs. For the former, the sheriff received $2 and for the latter $1–and the fee for shooting a dog never changed from 1930 through 1952. I jotted down a few of the items written in the books I found interesting. Items in quotations are direct quotes from the books and items in parenthesis are my comments or thoughts.) And although the shooting of dogs and the issuing of summonses make up the biggest part of the diaries I have spared you from reading all but maybe one or two. June 15–“Fred Dorsy chicken stolen. Art Olsen cows killed. And that’s a recap of the diaries. Now you know as much as I do–and for much less.I may stop by the local paper, the Clare County Cleaver and take a look into their archives to find out more about some of these stories. And as tempted as I am to call a couple of the people mentioned in the diaries, I will let sleeping dogs lie and hope the sheriff won’t shoot them. I’m taking a Bible study through my church, Brown Corners UBC in Clare, Michigan. It’s called “One Month to Live,” as in if you knew you only had 30 days left on this earth, how would you live your life? What would be your priorities and goals? What would be your relationship with your family? Friends? God? What and who would be important to you? What would you change and maybe that is how we ALL should live life whether we have 30 days or 30 years. The passing of Apple co-founder Steve Jobs also has taken place during this bible study and there has been quite a bit of commentary on Jobs and his thoughts once he knew he was dying. There is also a YouTube video of a speech Jobs gave at Stanford in 2005 that addresses some of his thoughts on life and death. 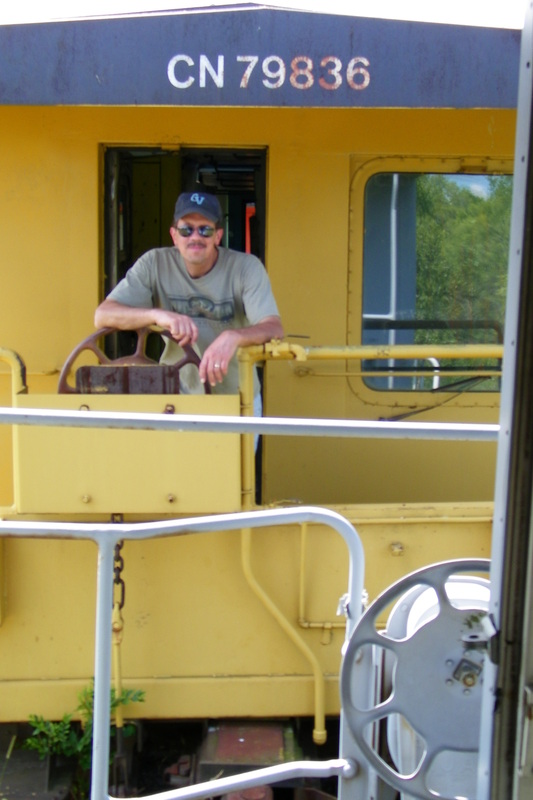 It was a topic he had recently come to ponder since he had been diagnosed with pancreatic cancer not long before. More than 11 million people have viewed the 15-minute video, including me. I didn’t think much of the book at the beginning. The weather was nice, I had other things to do (and read) so I put off starting it, even though each daily read was only a couple of pages and could be done in a couple of minutes. But now I am hooked. I read, I ponder and afterward, I pray. There is a lot of meat in that short book and I have gone from being a reluctant reader to a supporter. One of the things I like are some short quotes at the beginning of each reading. The other day there was one from author and mountain climber Tim Hansel that said: “Pain is inevitable, but misery is optional. We cannot avoid pain, but we can avoid joy.” I thought that was a great quote. Hansel himself lived life in great pain as the result of a climbing accident. Attitude means so much in life. That was the way my father lived, or so how I seem to remember him. I hardly ever remember him complaining. Me? That’s another story. I’m still a work in progress as I find myself frequently complaining and sometimes wallowing in my misery. But I’m hoping to change all that, along with a lot of other things. I’m hoping to live life as though I have one month to live. Not only will it make for a better life for me and those around me, but maybe it’ll make my friends and family hope I stick around a bit longer. I’m new to this area. A new full-time resident anyway. 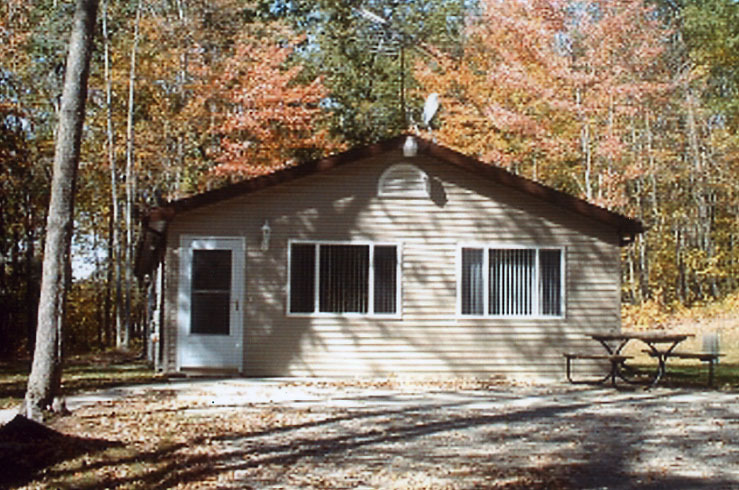 I bought a place in the woods between Harrison and Gladwin about seven years ago and came up here with friends and family on a fairly regular basis during all four seasons. I enjoyed hiking and biking, hunting and fishing and learning about the local history, which I find fascinating. Now, due to changes in my life (mostly unexpected and unwanted), I live up here full-time. The nice thing about it is that I get to enjoy the beauty of mid-Michigan and the friendliness of the people seven days a week. I still love it here. I find I am less stressed when I drive, take more time to enjoy the sights and talk to residents, something I didn’t have the chance to do when I was a Sunday trunk slammer. The downside is it is hard in middle age to get integrated into a new community, meet new people and find ways to keep busy. Conducting interviews for The Gladwin County Record and Beaverton Clarion helps me in all those areas. At least once a week I get to sit down with someone from the Gladwin community and find out about them and about the new place I call home. In the short time I’ve done this job I’ve met a man who races motorcycles on ice, a man who seasons sausage, a woman who directs 4-H in the county and a recently retired State Police Fire Marshal who had some great stories to tell. More than people to interview, I’m making one new friend a week. As a result of one interview I’ve decided to join the local Lions club. I will not be racing motorcycles on ice, though. I’ve also learned a lot about this area, why people live here, what they like about it and why they call it home. And although I do like talking to the people I am called upon to interview, actually transcribing the interviews is a bear. I’m not the greatest typist in the world and I need to carefully type the 3,500 – 4,000 words of the interview into a Word document and then pare them down to 2,000 – 2,500 words while ensuring the text remains accurate, flows easily and reflects the personality of the subject. I have to say I have a greater respect for Barbara Walters and David Letterman now. Interviewing is not as easy as it seems. I hope people like the result: The people I interview; the readers of the paper; and of course, Stephanie Buffman, the editor, and Mike Drey, the publisher of The Record and Clarion. I appreciate them giving me the chance to write for the paper; I also appreciate the plug they put in each week concerning this here blog. I hope this gig turns into a real life, full-time job somewhere in the area, and sometime soon. I love Gladwin and Clare counties but, love alone won’t pay the bills. However, in the meantime, I wrote, I transcribe, I volunteer my time (Mid-Michigan Home Care and Clare County Historical Society), get involved with a nice local church I’ve found, and count my blessings–a good way to spend time in this area I now call home. If you have someone in Gladwin County you’d like to see profiled, drop the editor an email at Sbuffman@thegladwincountyrecord.com. New friends are always welcomed. On Saturday, July 23, I attended a “Block pARTy” at the 515 Art Gallery in Clare, Michigan. Now, I didn’t expect much, after all, Clare may be a nice city, but it’s in mid-Michigan for goodness sake, where art is usually found in the quilts the Amish hang from clotheslines on street corners to sell to tourists. What I saw this weekend blew me away. And in an art gallery run by high school students, no less. The artwork was wonderful, mostly by area artists. All have talent. I was especially taken by the paper sculptures of Jane Cloutier and would like to take home her piece entitled “Sumacs on a Rock Pile.” It’s wonderful with a badger and rabbit tossed in for good measure. According to the gallery brochure, Jane is a computer programmer. Left-brained AND right-brained. Go figure. Then there is Judy Thurston’s “Begonias and Pears” watercolor, one of several of her works on display. It too is a wonderful piece of art. Judy teaches art at Central Michigan University in Mt. Pleasant, just down the road a piece. Ryan Taylor is a potter. I would say he is serious about his art, yet doesn’t take himself seriously. There’s something appealing about his work and this from a person who is not really big on pots. I especially liked his piece entitled “Composite Floor Vase.” It’s big, but I have just the place for it. One of the things I found most appealing about the gallery is the works are reasonably priced. The paper sculpture I liked is only $200. Of course, it’s probably best I hold off purchasing anything until I get a job. Then I can support the arts and boost the local economy. The gallery is housed in an old brick building next door to a very nice coffee house and sandwich shoppe called Coffee Talk and down the street Cops and Doughnuts. The Block pARTy was run by nine high school students from Clare who also run the gallery. According to the gallery’s website, they not only learn about the arts but also receive first-hand experience in running a business. How cool is that? The pARTy was well-attended. I hope it did well and the art is sold. Well, all except for the pieces I like. I hope those will stay on the walls until I get a job. Or hit the lottery. 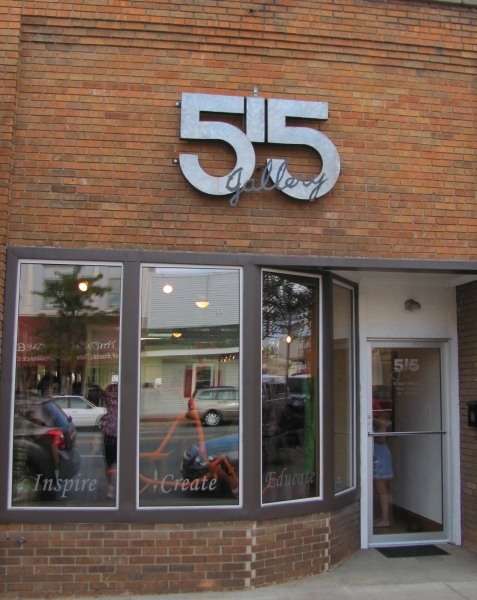 By the way, 515 Art Gallery is open Fridays and Saturdays from 11 a.m. to 4 p.m. and by appointment. Stop by. You will be amazed at what you will see. I was. David Bruce Popovich died sometime early on Sept. 30, 1995 on Mostetler Road east of Harrison, Michigan. According to the Clare County Cleaver, Popovich was the sole occupant of a pickup truck that went out of control at a curve on the gravel road and flipped over. Popovich, a self-employed auto mechanic, was 41. He left behind a son, Joshua, who lived in Pontiac, Michigan along with three brothers. 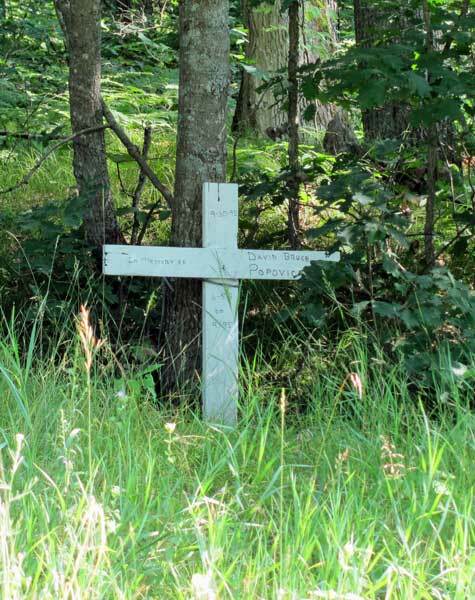 I never knew Mr. Popovich or had even heard of him until a month ago when I was riding my bicycle on Mostetler and spotted a two-foot high cross tied to a tree at a curve in the road at the edge of the woods. The cross was well made but its white paint it had peeled and the writing, what remained, was faded. However, the date of birth and date of death was visible along with the words “in Memory of” in neat lettering. Something touched me about that faded cross. Maybe it’s the fact that it had been forgotten and I wondered whether Mr. Popovich had too been forgotten nearly 16 years after his passing. Maybe it’s the fact he had moved up to Harrison from Metro Detroit leaving his family behind, something I too recently have done due to a pending divorce. After visiting the Cleaver and learning about Mr. Popovich and the details of the crash, I wanted to do something about the condition of the cross so I went to the site, untied it from the tree and took it home. As I sanded it in preparation for repainting I found that someone had put a gold necklace with cross over the upright of the cross. I wondered who had created the cross and placed it on the site and who had put the necklace there and did they still think of David on occasion. The cross has been repainted and has is tied to the tree. I added the wording that I saw on the cross when I first saw it along with the name of the person it honors, although the name may not have been there originally. Maybe others will see the cross, and maybe they will slow down at they approach the curve so no one else will suffer the fate of Mr. Popovich. But if nothing else, I hope it honors a man whose life ended at the edge of the woods. June 2018: I have repainted the cross for the 3rd time (last time was probably 2015) and reapplied the words. The wood making up the cross is getting pretty rotten and is soft in places. The cross doesn’t have many more years of life. The necklace is still there. In addition, the property owners have cut a number of trees in the area but left the cross alone.